What’s AquaGold? It may just be the next big thing in skin rejuvenation technology, taking the concept of Microdermabrasion to its natural conclusion. What can AquaGold do for you? It can shrink your pores, smooth your skin, improve acne scarring, and brighten your skin–all with more efficacy than your typical Skin Rejuvenation Treatments. Fundamentally, AquaGold isn’t simply microneedling. It’s a micro channeling delivery system. AquaGold is built around delivering different products to your face depending on your aesthetic needs. For example, AquaGold can be used in conjunction with Botox, for the purpose of tightening pores on your face. While some laser treatments can have pore tightening effects, and while Botox can be used for this purpose as well, when Botox is combined with micro channeling it takes it to a whole other level. It gets even better. Hyaluronic acid, typically used to treat acne, can be used in combination with AquaGold. Again, AquaGold is a micro channeling delivery system. It makes Hyaluronic Acid even more effective. There’s more products to be used with AquaGold too, such as growth factors which improve healing, and pigment reducers to help AquaGold treat hyper pigmentation. 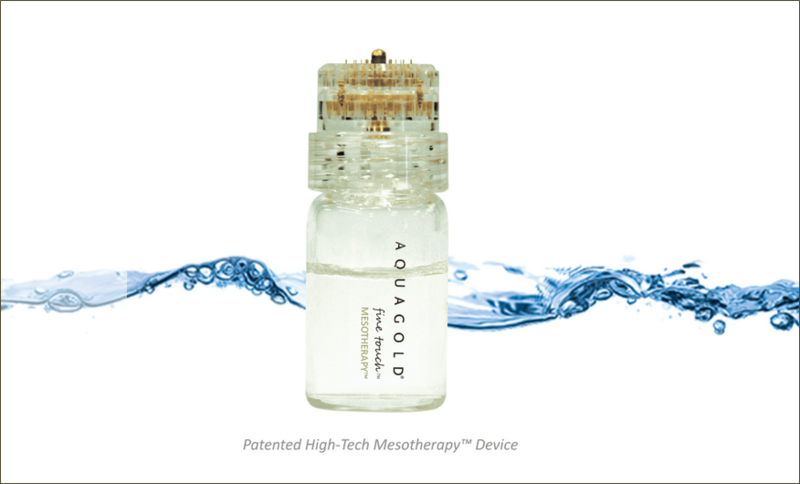 AquaGold represents a new frontier in skin rejuvenation techniques and Microdermabrasion, focusing on the delivery of Product to the skin to achieve different effects on the skin — all from, fundamentally, the same process. So that means all of these effects are combined with the fundamental advantage of an affordable procedure that has a low treatment time and little to no recovery downtime. That offers AquaGold a huge advantage over other skin rejuvenation treatments that might have longer downtime. If you want to know more, call here or check here for more information.